Get ready! These photos will make your heart happy...oh so happy! I have know Teresa since Kindergarten and met Cody in middle school. It was really great to catch up with the future Mr. and Mrs. Anderson and hear all of the cool things going on in their lives! "We started dating our junior year of high school and then spent four years long-distance while we both went to separate colleges. In that time we were able to grow not only as individuals but also closer as a couple. We have stuck together through all of life’s ups and downs over the past six years and have always been considered as a part of each other’s families. We are each other’s best friends and biggest supporters and couldn’t imagine going through life without one another." What do you enjoy doing together when you have a day off? "We enjoy doing pretty much anything together; we like to go hiking when we get the chance, go to movies, make dinner, workout, hang out with our adorable nephews, and get together with our friends and family." What is one attribute about Teresa that you admire? "When thinking about one attribute that describes Teresa, the first word that came to mind is generous. She is always willing to help not only me but each and every person in her life and expects nothing in return. She is by-far the most kind-hearted person I know." What is something that Cody does to make you laugh? "He is always full of sarcasm or cracking jokes; most of which are funny!" What is something that Teresa does to make you laugh? "She always catches me off guard with her (oh so impressive) dance moves when a good song comes on." What is the best memory you have shared with Teresa/Cody? "One of our favorite memories is our summer trip to Alaska. It was somewhat spontaneous and unlike anything we’ve done before. We spent three months there exploring the beautiful town together and our trip ended with the perfect proposal at the bottom of a waterfall." What is one attribute about Cody that you admire? 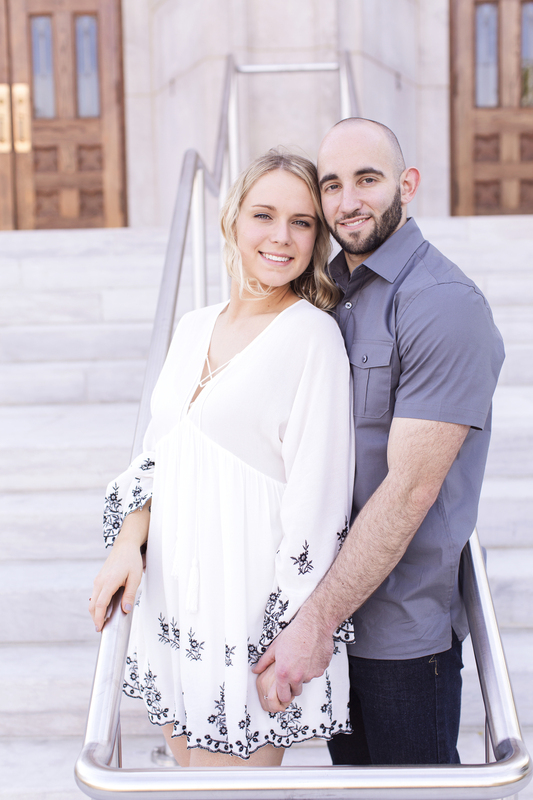 "I admire how supportive and patient Cody has been with me throughout my college career and now as I am finding where I fit within my field of work. I am such a planner in all aspects of my life so he keeps me balanced with his ‘go with the flow’ personality and always knows how to lighten the mood when my plans don’t go as planned." Congratulations Teresa and Cody! I cannot wait to document your wedding day next May!